The Cincinnati Youth Choir, Cincinnati May Festival, and Vocal Arts Ensemble (VAE). The Cincinnati Choral Academy is a free after-school program offering a comprehensive music literacy and choral education to third-fifth grade students twice per week during two-hour sessions. Participants who would benefit most from the Choral Academy are recommended by school staff members. Recommended students are not required to have prior musical experience, but a commitment to attending all weekly rehearsals and performances is essential. 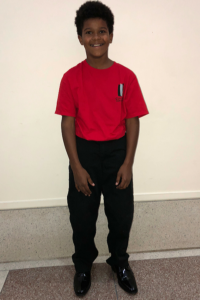 The Cincinnati Choral Academy’s mission is to enrich and educate the community by building outstanding young leaders in a safe environment while providing musical excellence to all youth regardless of their background. 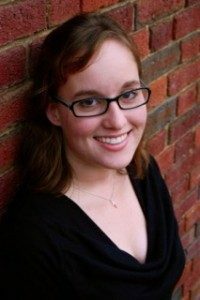 Sarah Grogan, a Cincinnati native, proud Cincinnati Youth Choir alumni, and current May Festival Chorus singer, joins CYC again as the Director of the Cincinnati Choral Academy, after having been the assistant director of the Miami Choral Academy. This program was an El Sistema inspired choral program for underprivileged elementary students in Miami-Dade Public Schools. She has also taught elementary music in the Clark County School District in Las Vegas. Sarah holds a Bachelor of Music in music education from the University of Cincinnati College-Conservatory of Music. While at CCM she received the John Leman Award for Choral Excellence, the Presser Award, and the Outstanding Academic Achievement Award. Ms. Grogan is the program director and conducts both the Carson Elementary Academy choir. Registration & emergency medical form are due back to the conductor at the singers’ first rehearsal. CLICK HERE for these two forms. May 5, 2019 – 2pm concert – doors open at 1:30pm – call time TBD for singers. It is an honor to be a member of the CCA. Each child (and their family) is expected to demonstrate commitment by; being punctual and consistently attending all rehearsals and performances. Every single child is important to the success of the program. Just as with any other team effort, the success of the choir is reliant on the attendance of all of its members. Therefore, the child and family should make participation a priority. All rehearsals and performances are mandatory for all singers. Performances are mandatory for all singers. If a singer has a conflict with a performance date (see schedules above), notify the director as soon as possible. If CPS closes schools, CCA is canceled. If schools are delayed, CCA will run as normal. The uniform for all concerts consists of the CCA T-shirt (provided), black pants or floor-length black skirts for girls, black socks or hose, and black dress shoes.